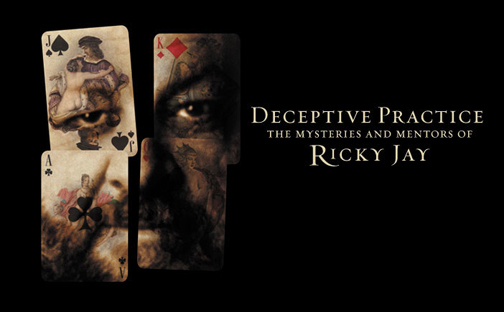 I have added another title to my Movies You Might Not Know list: “Deceptive Practice: The Mysteries and Mentors of Ricky Jay.” Jay is one of just a few magicians whose work I have admired for many years. He is a master manipulator, both of cards and an audience, with patter so perfectly chosen that it’s only fitting that he be close friends with David Mamet, in whose movies he has appeared more than a half-dozen times (beginning with another title on my list, “House of Games”). Updated April 2, 2014: As of today, “Deceptive Practice” is streaming on Netflix. “Ricky Jay and His 52 Assistants,” his first Broadway show, which was filmed for a 1996 HBO special. It has never been released as a DVD — but it’s on YouTube here.